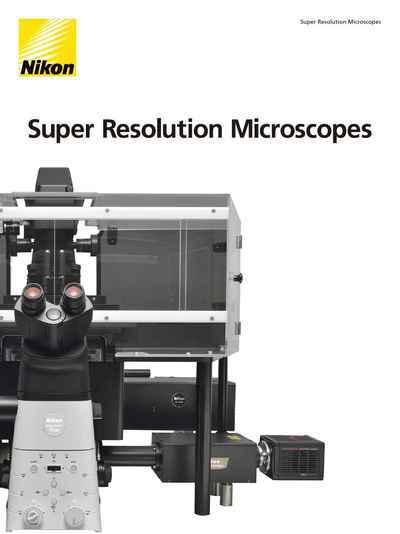 N-SIM S | Super-Resolution Microscopes | Products | Nikon Instruments Inc. Doubling the conventional resolution limit for live cell time-lapse imaging. The N-SIM S Super Resolution Microscope is a unique high-speed structured illumination system that achieves acquisition speeds of up to 15 fps, enabling fast biological processes to be captured at twice the spatial resolution of conventional light microscopes (up to 115nm in XY). Combining the N-SIM S and a confocal microscope gives you the flexibility to select a location in the confocal image and switch to super-resolution to view the desired part of the location in minute detail. Nikon’s new high-speed structured illumination system utilizes a novel pattern modulation technology to generate fast and precise switching of illumination patterns. The N-SIM S achieves incredible acquisition speeds (up to 15 fps*), enabling super-resolution time-lapse imaging of live cells and intracellular dynamics. Growth cone of NG108 cell labeled with GFP-Lifeact for F-actin. Formation of an actin mesh is captured at high-speed. This video shows a comparison with a widefield image. Histone H2B-GFP expressing HeLa cell. Visualization of fine movements of chromatin domains in different locations. This video shows a comparison with a widefield image. ER of COS7 cell labelled with SGFP2-sec61b. Fine movements of endoplasmic reticula can be captured and visualized with reconstruction. This video shows a comparison with a widefield image. 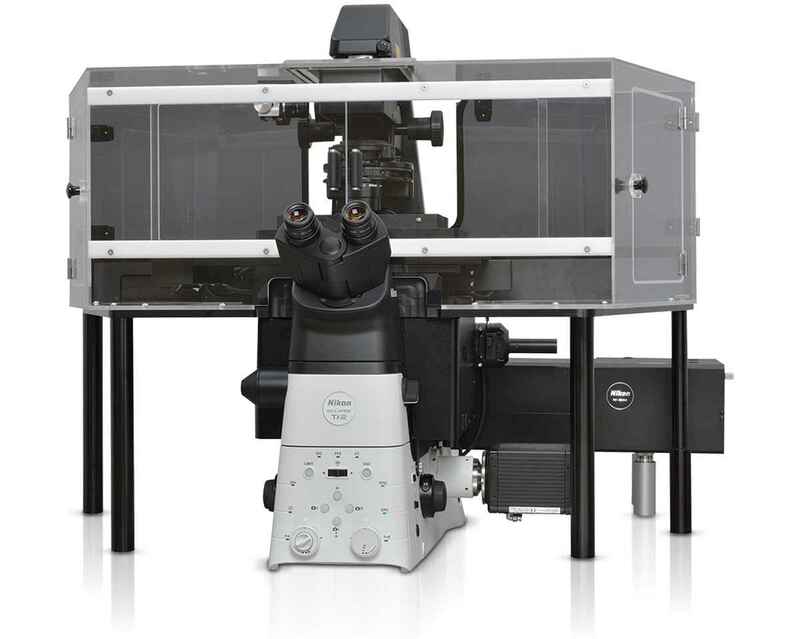 The N-SIM S utilizes Nikon's innovative approach to Structured Illumination Microscopy technology. By pairing this powerful technology with Nikon’s renowned objectives, which achieve an unparalleled numerical aperture of 1.49, the N-SIM S nearly doubles (to approximately 115 nm*) the spatial resolution of conventional light microscopes, enabling detailed visualization of minute intracellular structures and their interactions. * This value is the FWHM measurement of 100 nm beads excited with a 488 nm laser in 3D-SIM mode. In TIRF-SIM mode, 86 nm is achieved using 40 nm beads excited with a 488 nm laser. The newly-developed high-speed structured illumination technology enables fast acquisition rates, automatic switching between illumination modes, and automated optimization of structured illumination patterns for different wavelengths and magnifications. This expanded automation enables fast 2-color TIRF-SIM imaging, as well as multiplexing of different SIM modalities. The N-SIM S provides easy-to-use, streamlined workflows, whether it be for single-mode or multi-modal imaging experiments. N-SIM S can acquire super-resolution images with a large field of view of 66 µm square. This larger imaging area enables very high throughput for applications/samples that benefit from larger fields of view, such as a neurons, reducing the amount of time and effort required to obtain data. 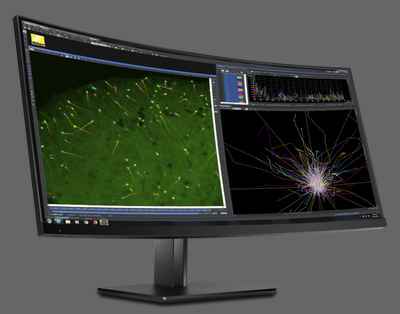 This mode captures super-resolution 2D images at high speed with incredible contrast. The TIRF-SIM mode enables Total Internal Reflection Fluorescence observation at double the resolution of conventional TIRF microscopes, facilitating a greater understanding of molecular interactions at the cell surface. The 3D-SIM mode generates structured illumination patterns in three dimensions to deliver a two-fold improvement in lateral and axial resolutions. Two reconstruction methods (“slice” and “stack”) are available to optimize results according to application requirements (e.g. sample thickness, speed, etc.). Slice reconstruction is suitable for imaging living cells at specific depths, as it allows axial super-resolution imaging with optical sectioning at 300 nm resolution. Stack reconstruction, based on Gustafsson’s theory, is suitable for acquisition of volume data as it can image thicker specimens with higher contrast than slice reconstruction. Bacillus subtilis bacterium stained with membrane dye Nile Red (red), and expressing the cell division protein DivIVA fused to GFP (green). The super-resolution microscope enables accurate localization of the protein during division. Simultaneous two-color imaging is possible by utilizing an optional Two Camera Imaging Adaptor* and two sCMOS cameras. 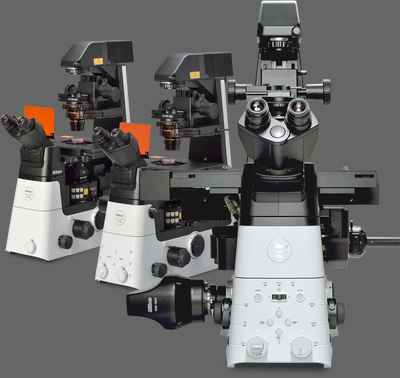 The N-SIM S can be simultaneously combined with a confocal microscope such as the A1+. A desired location in a sample can be specified in a low-magnification/large FOV confocal image and acquired in super-resolution by simply switching the imaging method. Combining a confocal microscope with a super-resolution system can provide a method for gaining larger contextual views of super-resolution information. SR series objectives are aligned and inspected using wavefront aberration measurement technology to ensure the lowest possible asymmetric aberration and superior optical performance required for super-resolution imaging. HP model objectives provide ultra-high power laser excitation durability and improved axial chromatic aberration correction, eliminating the need to switch objectives between the N-SIM S and N-STORM systems. The AC-type objectives that support the Auto Correction Collar of the Ti2-E microscope enable precise and easy adjustment of the correction collar. The N-SIM S is compatible with dry objectives, making both super-resolution imaging and confocal imaging available without switching lenses. Low-magnification, wide field-of-view dry lenses enable high resolution observation even at the periphery of sample tissues.